Grand Rapids, Minn. — Twenty-four residents of the Quad Cities area returned March 15 from a five-day leadership retreat, the first segment of an intense eight-day training provided by the Blandin Community Leadership Program (BCLP). The team also will participate in three follow-up workshops. 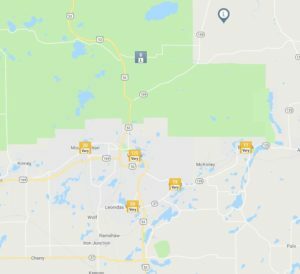 A program of the Grand Rapids-based Blandin Foundation, BCLP has provided experiential leadership training for more than 7,000 community leaders from nearly 500 rural Minnesota communities since it began in 1985. This is the sixth time the community has participated in the BCLP leadership program. Bret Alexander, Elizabeth Bloch, Ryan Carlson, Sharon Chadwick, Char Conger, Cassandra Hainey, Kristian Jankofsky, Tony Jeffries, Amber Johnson, Don Knight, Allen Lewis, Mary McReynolds, Brandon Nurmi, Betsy Olivanti, Beth Peterson, Justin Reid, Jake Rosandich, Erik Roth, Barbara Sanders, Rich Sather, Tiffany Soderman, Dawn Trexel-Kroll, Bobbi Zenner and Jeff Zupetz. Visit our Partner Directory to see other ways Blandin Foundation has supported the Quad Cities area.